When asked what she most enjoys about the Spring season, Janet replied, "My husband's whole family gets together to celebrate Easter. We have an egg hunt that everybody takes part in (even the adults!). Lots of good food and seeing relatives you haven't seen in a year, we don't miss it!" Great answer, Janet! It's hard to beat great time spent with your friends and family to start off the season. 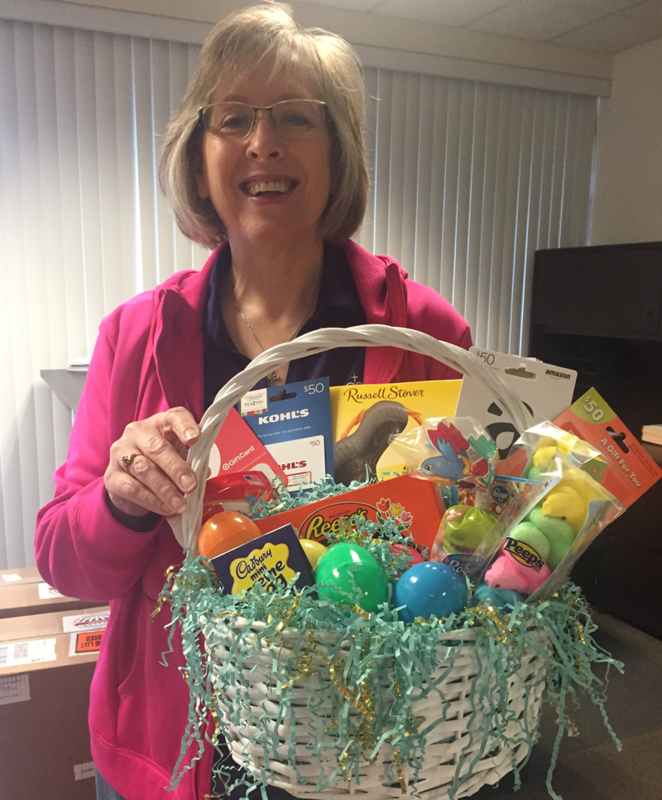 We hope you enjoy your Spring Gift Basket, which includes an assortment of popular seasonal candies and treats, as well as $250 worth of gift cards! Thanks to all who entered our giveaway! Stay comfortable, and be sure to let your friends at Logan A/C & Heat Services know if we can help get your air conditioner ready for warmer temperatures with routine maintenance, repair or system replacement!